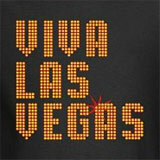 All transactions are safe and secure with a reliable history in online sales behind each of our associates. 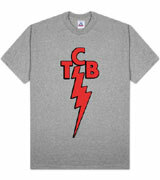 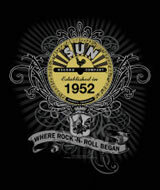 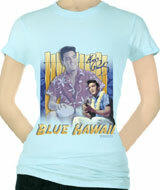 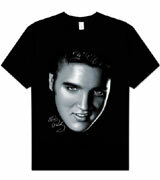 Buy Elvis Presley t-shirts and merchandise including the Viva Las Vegas t-shirt, Blue Hawaii shirt and Elvis costumes. 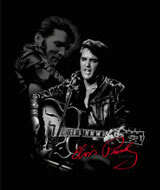 Elvis Presley was a musician whose talent earned him the title "King of Rock and Roll". 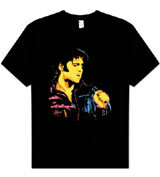 His singing skills led to a number of hit songs like Can't Help Falling in Love and Heartbreak Hotel, as well as a lucrative film career. 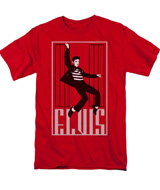 If you want The King to be your teddy bear, then peruse our Elvis clothing, including Elvis Presley t-shirts like the Viva Las Vegas shirt, Jailhouse Rock t-shirt, Elvis Blue Hawaii t-shirt and TCB tee. 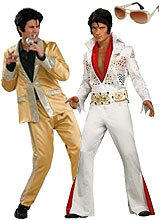 To walk in his blue suede shoes yourself, check out the Elvis jumpsuit costumes and wigs. 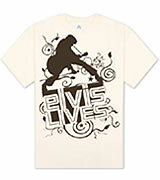 To perfect his look and dance moves, get more Elvis merchandise like Elvis sunglasses, wigs, DVDs and posters. 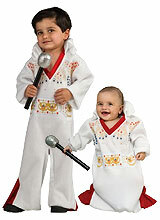 I'm all shook up!